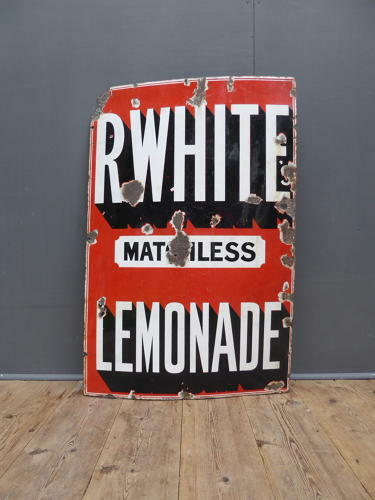 A fantastic & very rare early vintage enamel advertising sign for R Whites 'Matchless' Lemonade. A wonderful version of the iconic Whites sign by Patent Enamel Company featuring some fantastic colours & typography. A beautiful & very seldom seen sign, perfect for a kitchen, cafe or restaurant. Early 20th century, pre WW1.